Here’s our path to 270. 08 Nov Here’s our path to 270. With all the talk about so-and-so’s “path to 270” it seemed only fair for us to jump in. 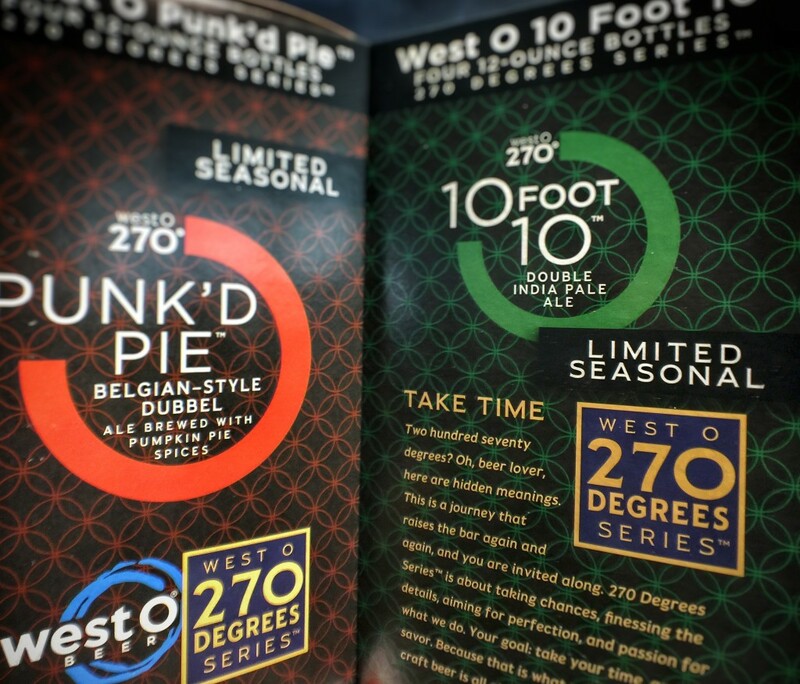 So say hello (if you haven’t already) to the West O 270 Degrees Series. The 270° Series is our premium pathway to beers that raise the bar even more than our normal raising of the bar that you are used to. We spare nothing on the ingredients, and spare nothing on the process. The result? Opposite end of the spectrum of, say, a lawnmower beer. These limited seasonals will beg you to relax and savor and share with your friends. Punk’d Pie Belgian-style Dubbel: available now, is rich and malty like you expect from a Belgian-style Dubbel, with mild hop bitterness, a medium body, and some right-down-the-middle pumpkin pie spice notes. Available on tap and premium bottles in 4-packs. 10 Foot 10 Double IPA: The big beer you have come to love is back soon. It’s a Double India Pale Ale that is big on bitterness, tall on hop aroma, and, um, double on the alcohol. Complexity and maturity coming through. Available in late November or early December 2016 on tap and premium bottles in 4-packs. And a December Surprise: Interested in a whiskey-barrel-aged CocO Stout? Compound that interest with cherries. Then picture it in a proper 750ml bottle. That’s just a teaser, and we’re just getting started. Stay tuned. And whatza 270, you ask? The clues are here, for starters. Think “Directions and Degrees.” Enjoy.